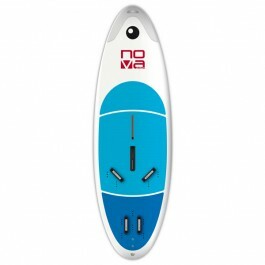 The Nova boards have been designed specifically for learning to windsurf and progress towards funboarding in the best of conditions. The multiple footstrap positions placed quite forward on the board make it easy for all levels of rider to learn funboarding and jibes. The Beach 185 D is a more compact board, and is suited to lighter-weight beginners. It glides well in light winds while maintaining good manoeuvrability. 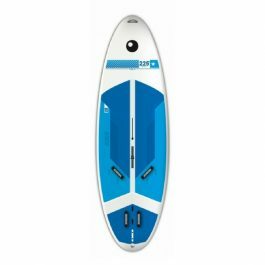 It is a very solid board with an EVA-foam pad covered deck and particularly apt for both sailing schools and windsurf-enthusiast families on their holidays. 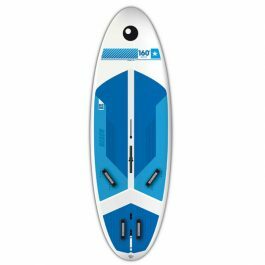 The new Nova 240 D is geared towards heavier-weight riders or for schools who want a stable, light, big volume board, and fitted with a retractable daggerboard. This board is also great for progressing on, thanks to its relatively moderate length, its reduced weight and forward footstrap positions. It is made using the thermoformed composite technology and is as a result much lighter than those of the competition. The Nova 240 D is fitted with an integral pad for a totally anti-skid surface which also helps protect the rider in case of falls. There’s no better board to learn how to windsurf! The Nova 240 has a retractable daggerboard to help return back to shore safely. The multiple footstrap positions placed quite forward on the board make it easy for all levels of rider to learn funboarding and jibes. 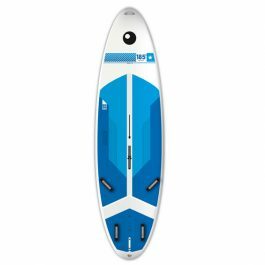 Its short length means it is highly manoeuvrable and still has great speed when the wind fills in and they start planing, giving you the excitement of full-on funboarding! It’s the result of an innovative mix of technologies already to be found on BIC surf boards and kayaks. The outer skin of polyethylene is the same as that used on BIC Sport kayaks with their proven strength. The internal construction borrows from the BIC ACS surf board with its massive knock-resistance. The shapes have been developed with maximum stability for beginners in mind but are still very manoeuvrable to help learn some progression moves.